Ben Savage and Danielle Fishel have officially signed on for the sequel series Girl Meets World, in which they will be reprising their roles as Cory and Topanga from the hit '90s sitcom Boy Meets World. Cory and Topanga are officially back. Original Boy Meets World co-stars Ben Savage and Danielle Fishel have been tapped to reprise their roles as Cory Matthews and Topanga Lawrence in Disney Channel's Boy Meets World follow-up, Girl Meets World, The Hollywood Reporter has confirmed. As first reported by TV Line, the duo will step back into the roles they made famous in the ABC TGIF series that ran from 1993-2000. In the Disney Channel project -- currently in the pilot stage -- Savage and Fishel's Cory and Topanga are a happily married couple and parents to 13-year-old daughter named Riley, from whose point of view the story is told. Overnight Productions is looking to cut ties with Robert Rodriguez. If the suit is successful, we won't be seeing Machete Kills anytime soon. Overnight Productions today said it wants to cut ties with Robert Rodriguez’s Quick Draw Productions over the rights to Machete Kills. If successful, the court action could stop the release of the film – which Open Road acquired for distribution from Quick Draw last month. 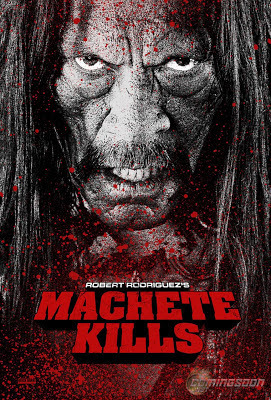 The complaint filed Tuesday (read it here), the producers of 2010’s Machete are seeking to terminate the April 2012 agreement in which they granted director/producer Rodriguez the rights to make another action movie about the rogue Mexican Federale. The rights would revert back to Rick Schwartz’s Overnight. The plaintiffs are seeking $2 million in damages. 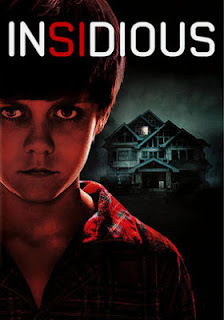 It was announced today that Patrick Wilson and Rose Byrne will be returning for Insidious: Chapter 2, the sequel to the 2010 film from the Saw duo James Wan (director) and Leigh Whannell (screenwriter) who are also slated to return. Patrick Wilson and Rose Byrne will reprise their roles for Insidious Chapter 2, the sequel for the hit horror movie made by FilmDistrict, Alliance Films and Sony Pictures Worldwide Acquisitions. James Wan will return as director for the second chapter, which will also bring back actors Lin Shaye and Ty Simpkins as well as original screenwriter Leigh Whannell. Jason Blum is returning as producer. FilmDistrict will release the film in the U.S. on Aug. 30, 2013 while Alliance Films, which is financing, will distribute in Canada, the UK (via its Momentum Pictures subsidiary) and Spain (via Aurum). Sony Pictures Worldwide Acquisitions will distribute in all other international territories. Evan Rachel Wood (Across the Universe, The Wrestler) has been cast in 10 Things I Hate About Life, the quasi-sequel-spinoff to 10 Things I Hate About You (although this new movie has absolutely nothing to do with the original flick). The film is currently in pre-production and will be directed by Gil Junger, who also directed the first movie. Expect the film to hit sometime in 2014. Child's Play creator Don Mancini sat down with Yahoo! 's Yo-Show and talked about the upcoming direct-to-video sequel Curse of Chucky, the sixth installment in the Child's Play franchise which said to disregard the events of Bride of Chucky and Seed of Chucky and possibly being a direct sequel to either part 3 or 2. Either way, Mancini had some interesting tidbits that he dropped in the interview. Check it out below. Curse of Chucky should be hitting stores and online retailers around Halloween 2013. 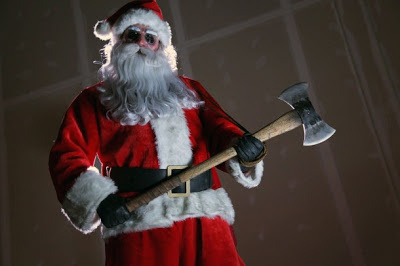 I was never a huge fan of the original Silent Night, Deadly Night franchise, but the trailer for the remake Silent Night actually has me pretty excited, even if it does incorporate just about every slasher gag from just about every slasher movie (see the flying ax). Also going to add that the killer looks insanely badass. This is interesting. 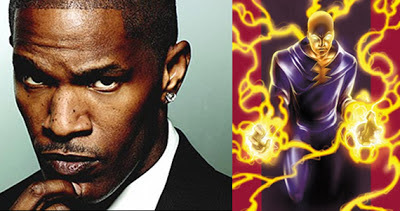 According to Variety, Jamie Foxx is in serious talks to play the villain Electro in Sony's The Amazing Spider-Man 2. And I think it's safe to assume that it was Electro in the post-credit scene of The Amazing Spider-Man. Sony's "The Amazing Spider-Man 2" seems to be coming together faster than expected, as sources tell Variety the studio is in early talks with Jamie Foxx to play the villain in the movie. Sources also told Variety that Foxx would play Electro, and Foxx later tweeted, "Dressed up as Electro for Halloween last night. Costume fits well." Electro is the alter ego of Max Dillon, an enemy of Spider-Man who gains the ability to control electricity after being struck by lightning. Created by Stan Lee and Steve Ditko, the character first appeared in "The Amazing Spider-Man #9" in February 1964. The new sequel to 1983's A Christmas Story is here. One thing bothers me, though -- why is this being advertised as the "official sequel"? If memory serves, there was a sequel in 1994 titled It Runs in the Family (aka My Summer Story). Perhaps this is an attempt to negate the '94 flick. Oh well. I'm just happy to see Daniel Stern still working. 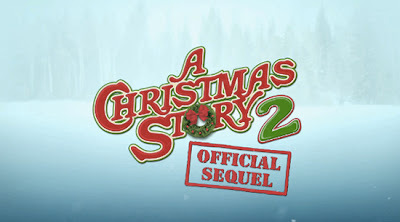 BUY 'A CHRISTMAS STORY 2' ON AMAZON! As far as TV sequel series are concerned, I really couldn't care less. But this one intrigues me. Maybe because Boy Meets World is one of my all-time favorite TV shows. But let's face it: a lot of TV sequel series never live up to the original (see Saved by the Bell: The New Class). But, yet, here we are and Disney is in the early stages of developing Girl Meets World, a sequel series all about Cory and Topanga's daughter. 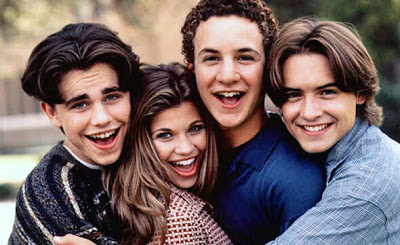 And yes, Ben Savage and Danielle Fishel are in talks to reprise their roles. The world has met Cory Matthews — is it time now to meet his daughter? The Disney Channel is in the early stages of developing a Boy Meets World sequel series called Girl Meets World, TVLine has learned exclusively. 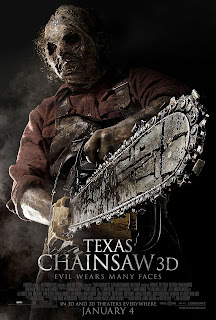 The final one sheet for Texas Chainsaw 3D, the direct sequel to the 1974 original, has been released. Not too sure how I feel about this one. It's pretty to-the-point, so I guess I can live with that.